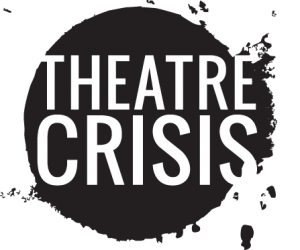 Founded by Artistic Director Natasha Mytnowych with Caitlin Gallichan-Lowe in 2002, Theatre Crisis has produced over a dozen acclaimed projects, including the Dora-nominated The Russian Play by Hannah Moscovitch at Factory Theatre, Harbourfront Centre, the Magnetic North Theatre Festival, SummerWorks and the Rhubarb! Festival. Other projects have included Moscovitch’s Post Democracy, presented at the Wrecking Ball, Rhubarb! Festival, Banff Playwrights Colony and Canadian Stage; Moscovitch’s USSR presented at Harbourfront Centre; Rosa Laborde’s Marine Life, presented at the Rhubarb! Festival, Panamerican Routes Festival, and SummerWorks; and Mytnowych’s acclaimed Kafka adaptation Ungeziefer [vermin] and original play Fly, both presented at SummerWorks. Following the premiere production of Little One at the Tarragon Theatre, Theatre Crisis will be touring the production to Victoria BC, Whitehorse YK, and Banff AB in Spring 2013.